Seasonal tips and advice here …………. 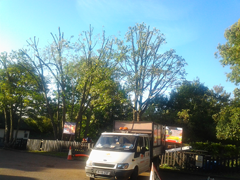 Carrington’s offer a range of professional tree surgery services. 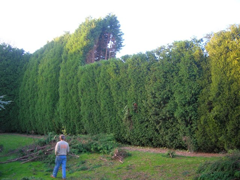 Should you require any of these professional works to be undertaken, contact Carrington’s Tree Surgery. After this initial contact, every enquiry will result in a face to face meeting at the clients convenience. If possible, a verbal quotation will be provided at this initial meeting. If further primarily investigations are needed to be completed by Carrington’s prior to a verbal quote being offered to the customer, Carrington’s will contact the customer as soon as these primarily investigations have been completed. This verbal quote will be backed up with a written quote. Prior to any work being carried out, the relevant risk assessments and method statements will be prepared (available on request). Upon arrival to carry out the required work, Nigel or one of his qualified team will prepare a site specific risk assessment in order to identify any hazards which may have occurred in the interim period from the initial visit. All personnel and the client will be informed of the work processes. All relevant health and safety documentation will be completed, in order to protect the working personnel but also for the general public and to reduce the possibility of damage to property. Carrington’s are a registered Waste Carrier for virgin wood as well as for garden clearance materials. The company is committed to working in harmony with the environment whether recycling green waste or avoiding disruption to birds and wildlife in their nesting seasons.